Thanks to the generosity of our donors, the CGTC Foundation offers a wide range of student scholarships. Applying for scholarships is easy: students can apply online and check the status of a scholarship application without ever picking up the phone. Scholarships must be used the semester in which they were awarded. Any unused funds will revert back to the Foundation. Information about all scholarships offered by the CGTC Foundation can be found here. Click here to apply for scholarships on AwardSpring. Have your academic transcript ready – you will need it to answer some of the questions on the application. You can access your transcript from BannerWeb. Read the Getting Started Guide for step-by-step instructions on applying online. Go to the online scholarship system at https://cgtcfoundation.awardspring.com. Once you have applied for scholarships, check your application to make sure that your instructor has submitted a recommendation for you. Your application will not be considered complete without a recommendation from your current instructor. Check your student email account and the email address that you used in the online system frequently. All scholarship announcements will be sent to these email accounts. Foundation staff cannot provide scholarship award information over the phone. Q. How can scholarship funds be used? A. Scholarship funds will be applied to the student’s College account to be used for tuition and fees (after all other financial aid has been awarded and applied to student’s account). In the event that a student has enough financial aid to cover tuition and fees, scholarship funds may be approved to purchase education-related expenses such as program supplies. Scholarship funds will not be dispersed directly to the student unless the student graduates from the College with unused Foundation scholarship funds on his/her student account. Scholarships are awarded per semester and may be used only for the semester for which the scholarship is awarded. Scholarships unclaimed within one semester of scholarship award date may revert back to the Foundation. Q. I’ve been awarded a scholarship but I have enough financial aid to cover my tuition and fees. What can I do? A. Please complete a Request for Alternate Usage of Scholarship Funds form. Return the completed form along with all requested documentation to the Foundation Office in Macon (A-413) or Warner Robins (A-226), or email the form to the Foundation Office. Form and documentation must be received within one semester of the scholarship award date to be considered. To allow time for financial aid to post to each student’s account, the request will not be evaluated until two weeks after the semester begins. After the first two weeks of the semester, if you have questions regarding your scholarship balance, please contact Carmen Davis at cdavis@centralgatech.edu or 478-476-5151. All requests are subject to Foundation approval. Q. What if I don’t see my scholarship in BannerWeb? A. The most common reason for this is that you have received enough financial aid to cover your tuition and fees. If this is the case, you may request to use your scholarship funds for an alternate use (please refer to “I’ve been awarded a scholarship but I have enough financial aid to cover my tuition and fees. What can I do?”). For questions or clarification, please contact Carmen Davis at cdavis@centralgatech.edu or 478-476-5151. Q. What scholarships can I apply for using the online system? A. Only scholarships offered through the CGTC Foundation (does not include or affect scholarships available through the Financial Aid Office or through government or private organizations). Q. How will I know if I have been awarded a scholarship? A. You can check your status in the online system at any time. Also, we will send an email to the email address that you used when you set up your account in the online system. Q. I applied for scholarships last semester – do I need to start over in the online system? A. Not completely. You will always use the same email address and password; however, you will have to repeat the application process each semester. Q. I’ve forgotten my password. What can I do? A. Click the Forgot Password link on the main login screen, then follow the steps to reset your password. Q. How do I know if my instructor has submitted a recommendation for me? Q. I’ve been awarded a scholarship… now what do I need to do? A. All scholarship recipients are required to attend the Award’s Day ceremony, when held, and write a thank you note to your scholarship donor. Check your email for complete instructions and important dates. Q. What if I have questions or need help with my online application? A. For questions regarding your online scholarship application, contact technical support at (888) 258-5628 (option 2) Monday through Friday, 9:00 AM – 7:00 PM, or send an email. For questions regarding scholarship requirements, please contact Carmen Davis at cdavis@centralgatech.edu or 478-476-5151. Most of the scholarships that we offer are made possible by generous contributions from donors who believe in our students and want to help them succeed. By writing a thank you letter, you’re letting our donors know how much you appreciate their gift to you and also how that gift will impact your academic goals. What are the requirements for writing a thank you letter? There isn’t a required format for thank you letters. Thank you letters can be handwritten or typed, and can be a thank you card, handwritten or typed letter, or even an email (Thank You should be an attachment). Most importantly is that you thank the donor for his or her generosity and let the donor know how this scholarship will make a difference in your life. Your thank you letter is a reflection of you. Please pay attention to spelling, grammar, and punctuation when writing your letter. If you receive more than one scholarship, you must write an individual thank you letter for each scholarship. Who do I address the thank you letter to? Information about all scholarships offered by the CGTC Foundation can be found here. Please address your thank you letter to the sponsor(s) listed for each scholarship. Where do I send my thank you letter? For questions regarding your online scholarship application, contact technical support at (888) 258-5628 (option 2) Monday through Friday, 9:00 AM – 7:00 PM, or send an email. For questions regarding scholarship requirements, please contact Carmen Davis at cdavis@centralgatech.edu or 478-476-5151. Instructors: Instructions for submitting a recommendation for a student are available online. Thanks to the generosity of our donors, the Foundation can assist students with the Textbook Scholarship. With the Textbook Scholarship, you can submit an application and check the status online. If you are awarded a Textbook Scholarship, the scholarship must be used the semester in which it was awarded. The funds will be applied directly to your student account to use in the bookstore on the Warner Robins, Macon, or Milledgeville campus. (This does NOT affect the Lending Library offered by Special Populations services). Any unused funds will revert back to the Foundation. Please check your CGTC student email for detailed information. Funds are limited and assistance will be provided on a first-come, first-served basis. Submit ALL financial aid paperwork to the Financial Aid office (your scholarship application cannot be evaluated until ALL financial aid has posted to your student account). Have the total cost for ALL textbooks that you will need for the upcoming semester. Textbook information, including cost, is available online. Failure to list the total cost of all textbooks that you will need can prevent you from receiving a Textbook Scholarship. Click HERE for a step-by-step guide to applying for a Textbook Scholarship online. After reading the guide from step 4, click HERE to go to the online scholarship system. Q. What can I use my Textbook Scholarship for? A. Required textbooks for your program (textbooks, workbooks, digital course materials, such as SAM, MyMathLab, and e-books). Your scholarship cannot be used for supplies, apparel, food, program supplies such as welding kits and cosmetology mannequins, or anything other than textbooks and the accompanying digital course materials. Your scholarship has no cash value and may only be used in the CGTC Bookstore. Q. How much will I be awarded? A. The amount of the scholarship will depend on your out of pocket expenses for the semester (the cost of tuition, fees, and textbooks less financial aid that you have been awarded), as well as the cost of the textbooks that you will need for the semester. The maximum award per student will be $300, and scholarships will be awarded on a first-come, first-served basis as funds are available. Q. Who can apply for a Textbook Scholarship? A. Current students who do not have enough financial aid to cover the cost of their textbooks. Q. What can disqualify me from receiving a Textbook Scholarship? A. GPA less than 2.0 (students must have a minimum GPA of 2.0 to qualify); a HOLD on account (you must clear any holds from your account in order to qualify); Sufficient financial aid (students who receive enough financial aid to cover textbooks are not eligible); Incomplete financial aid (your application cannot be evaluated until all financial aid has posted to your student account). Q. Why is my application showing “pending” in the online system? A. The most likely reason is that your financial aid is not complete and has not posted to your student account (your scholarship application cannot be evaluated until all financial aid has posted to your account). Please contact the Financial Aid office for questions regarding financial aid. A. Scholarship funds can take a few days to post to your student account. Once the scholarship has been applied to your account, you can use the credit in the CGTC Bookstore. Be sure to let the cashier know that you will be using a Textbook Scholarship to help pay for the books. These scholarships are NOT administered by the CGTC Foundation. For information on scholarship opportunities offered by the Technical College System of Georgia Foundation, please visit the TCSG website. Students may also be eligible for other grants & scholarships. Click here for more information. 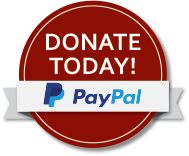 Online payments: Please consider helping the CGTC Foundation decrease expenses by paying the 3% fee associated with processing credit card payments to ensure every penny of your donation goes towards assisting our students.